The MU Data Center is a facility that houses campus computer systems and supporting infrastructure such as data storage systems, telecommunications, data connectivity, electrical power distribution, backup power systems, environmental systems, fire suppression systems and security systems. 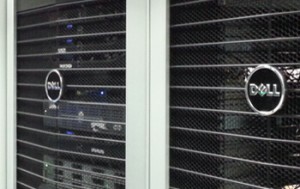 The MU Data Center is a facility that houses campus computer systems and supporting infrastructure such as data storage systems, telecommunications, data connectivity, electrical power distribution, backup power systems, environmental systems, fire suppression systems, and security systems. Servers located in the Data Center can utilize up to 10 Mbps of Internet throughput. Charges may apply depending on services required or requesting department. A service op department or a group requiring equipment to be housed in the PCI compliant section may incur charges. Cubic foot space is generally used by departments not requiring an entire rack. Square foot space is generally used by departments requiring one or more full racks' worth of space. Notice of Information Disclosure: Information from these forms will be used for Data Center operations only. It will not be used or released for any other purposes. Anything other than the standard needs special consideration.